BI clears damp and heat in the urinary bladder and urinary tract. It helps reduce inflammation and infection in the urinary bladder and urinary tract. It also helps repair bladder lining damage. 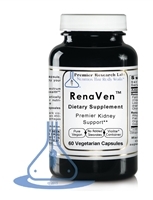 If there is kidney inflammation or infections, KS and LC Balancer are also required. 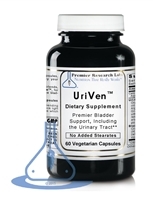 Premier Reaserch Labs UriVen is a complete formula for comprehensive bladder support. It contains premier, premier-state quality phytonutrients with immune-specific support and healthy urination properties. Optimal cleansing, detoxification and nutritional support for the bladder, including the urinary tract and kidneys.